Upgrading a stock turbo will give you more compressed air to the engine creating more power and efficiency by burning more of the available fuel. 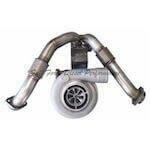 A stock turbo is adequate up to around 80 extra horsepower. After you reach that mark, which is a mild increase for towing, an upgraded turbo or turbo bolt on upgrades are recommended. 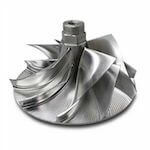 Full Force Diesel offers a variety of options to upgrade your turbo. 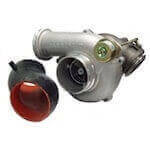 Starting with a simple boost fooler all the way to a GTP38R drop in turbo or complete T4 turbo system which replaces all piping with a competition style turbo capable of 600hp+.